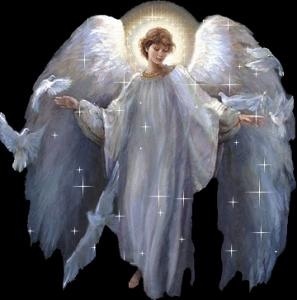 Angels - Angels are high vibrational Spiritual Beings of Light, and a gift from God. They are appointed by God as guides, protectors and helpers for his Creation. They are his messengers. Everything is existence is made up of vibrations. The heavier vibrations exude denser objects that can be seen and felt, such as tables, chairs, rocks and humans. Angels are usually invisible to humans because they have a lighter and faster vibration. We humans, are really spiritual beings of light as well, but we have incarnated into denser physical bodies to experience life on the Earth plane. When we invoke Angels to assist us, we are not "praying" to them, and they do not override God. Some people may wonder why not ask God directly for assistance, instead of the Angels. When we ask the Angels for assistance, we are also helping them fulfill their mission so to speak. Angels work directly with humans and all other sentient beings on the planet.﻿ They are a part of God, just as we all are. There are many different kinds of Angels with many different gifts and specialties. There are an abundance of Angels to help us all rise in consciousness. 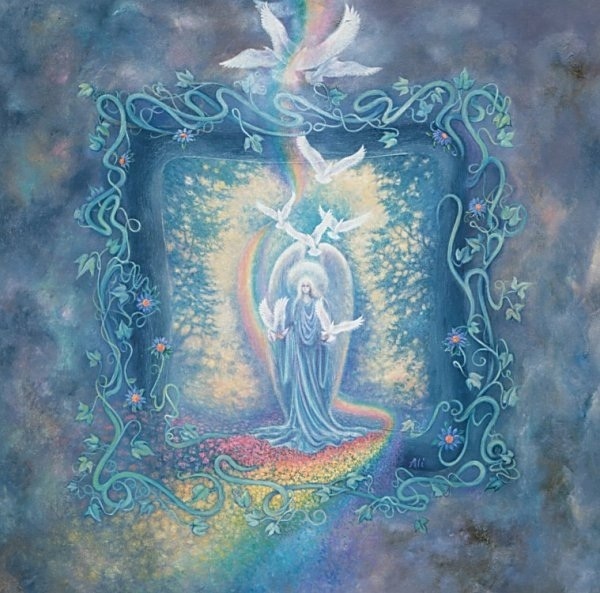 Some Angels can incarnate on Earth when necessary, and they do so when certain conditions on Earth needs help and the higher vibrations that Angels bring. Some of the IET - Integrated Energy Therapy® Angels are Archangels, such as Archangel Michael, Archangel Raphael and Archangel Gabriel. They are included in the Healing Angels of the Energy Field group that we work with in an IET session. 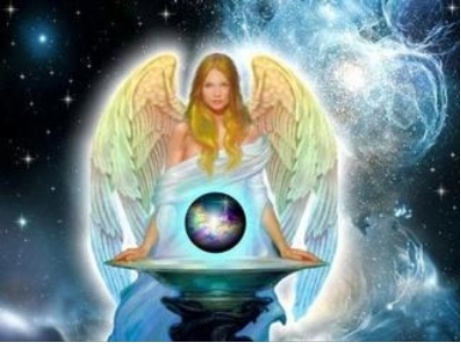 The other Healing Angels of the Energy Field® are Ariel, Celestina, Casiel, Faith, Daniel and Sarah. Sometimes these Angels will come also through in a reading. The IET Ariel presents a different vibration, than that of Archangel Ariel, commonly known as the "Nature Angel." I love working with both of these Angels, as they are both loving and powerful, as are all Angels. 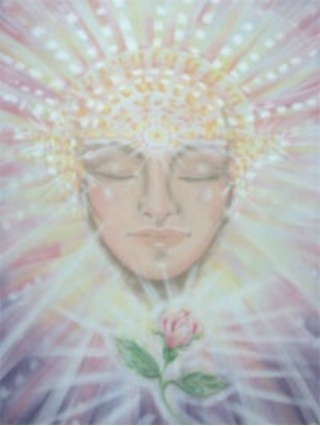 Although Angels are androgynous in nature, they sometimes present themselves as either a masculine or feminine energy. 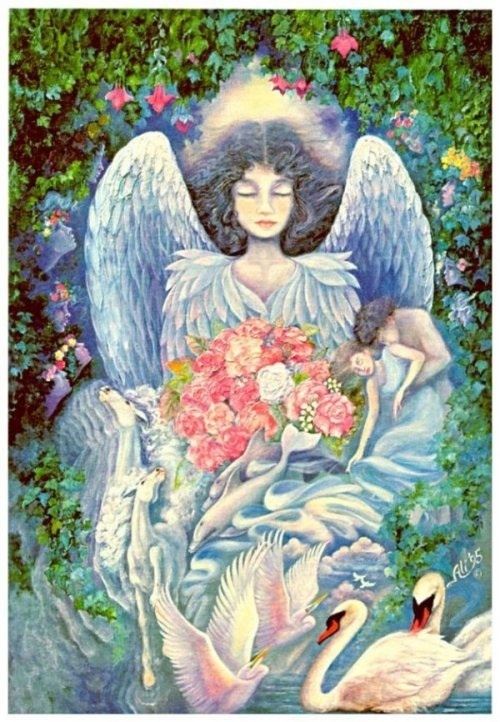 It is believed that Archangel Ariel works in the healing arts with Archangel Raphael. Some also believe that Ariel is the feminine aspect of Archangel Uriel, while other believe that Archangel Ariel is a masculine energy. The is that they are in balance with nature, and possess both masculine and feminine energies and qualities. 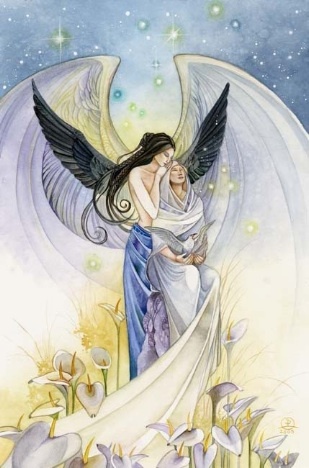 Archangels - The Archangels are of a higher frequency and lead other bands of angels. While there are millions of Archangels in existence, there are 15 major ones we usually work with. They oversee Angelic affairs and vast projects for the Light. All Angels and Angels are omnipresent, meaning they can be with everyone at the same time, and are not restricted by time and space. You can call on the Archangels when you need immediate assistance. Although they work with humans, they do not incarnate. Guardian Angels - Everyone has at least two guardian Angels with them at all times. These Angels are with us from birth until we cross over and leave the earth plane. Some people have more than two Guardian Angels, and some have Angels that will stay with you for a certain period of time, until they are no longer needed. They all love us unconditionally. Some people may confuse Spirit Guides with Guardian Angels. Spirit Guides are usually deceased relatives or friends, although they also can sometimes take the role of a Guardian Angel when the need arises. 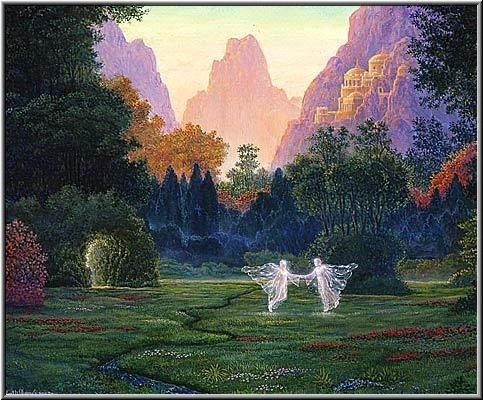 Spirit Guides - Our Guides just like our Angels, are always sending guidance to us. They work on the etheric plane, offering us support, comfort, love and protection. They have a strong connection to us because they were once human and lived on the earth plane at some point in their existence. Spirit Guides are usually deceased relatives we knew, or from our ancestral line. They are also friends and other spiritual beings that may sometimes work as a team. They can sometimes play the role of a Guardian Angel if the need arises. Channeled Angel Messages - I connect and communicate with your Angels and Arch Angels to give you balance and harmony in your life through channeled messages and clairvoyant symbols and images. The Angels and Archangels will also assist bringing clarity and peace to any issues and questions you may have. If any type of healing is needed, I will be guided as to what that is, and I'll incorporate that into the session. I use Angel cards when guided to do so, usually as a follow up and confirmation of the messages received. These loving messages are meant to empower you as an individual and assist you on your journey through life. In this reading I will look into a specific life issue or challenge you may be currently experiencing. I will receive channeled guidance from the Angels, Archangels, Ascended Masters and your guides. I will follow up with a three card spread and focus on the energy of your immediate past, current life and future energies. This is the same as the one topic reading, except we're addressing two topics or questions. The three card spread is also included in this reading. Angelic Year Reading - month by month for the coming calendar year. You will receive messages and information to give you a general sense of the overall energies for the coming calendar year. 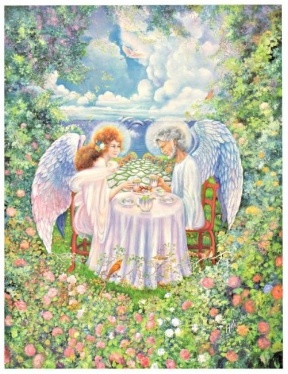 I will channel messages from the Angels and use my Angel cards in a 12 card spread. This will help to guide anything you may experience, and help you to create the life you want to manfest.